One of a kind...Simply breathtaking. Grand everything, yet warm and inviting. If you are looking for a luxurious home with all the amenities you could ask for, look no further! Built to 6 Star Energy level with Geothermal heating and cooling. 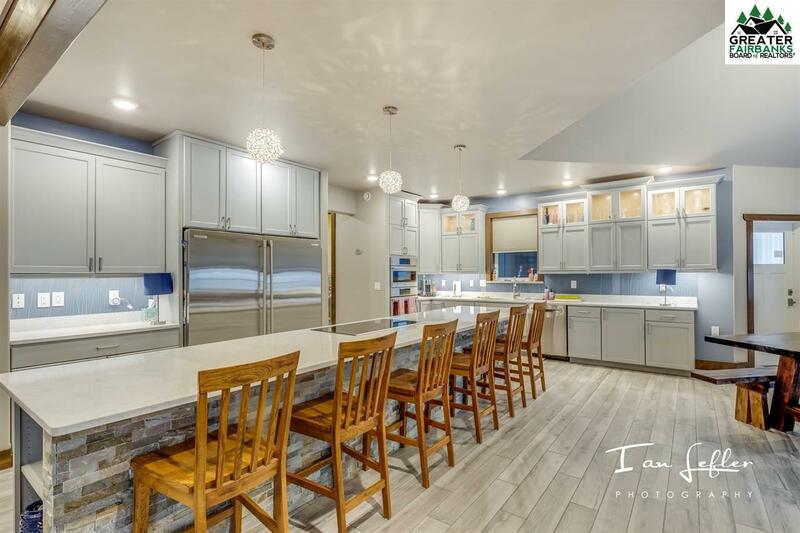 Top of the line custom home with high end finishes throughout... 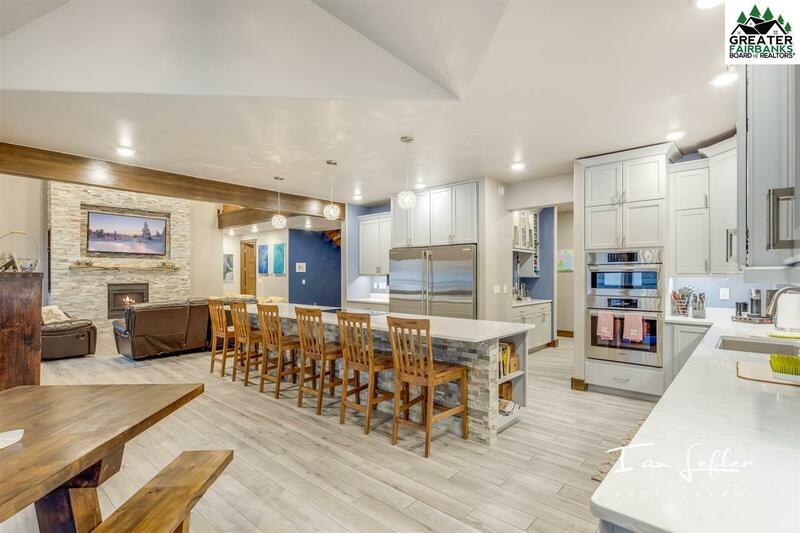 The main level features a grand entryway, that leads to the expansive living room with stacked stone fireplace that soars 25ft tall, local birch mantle, and then into the custom kitchen you have been waiting for. 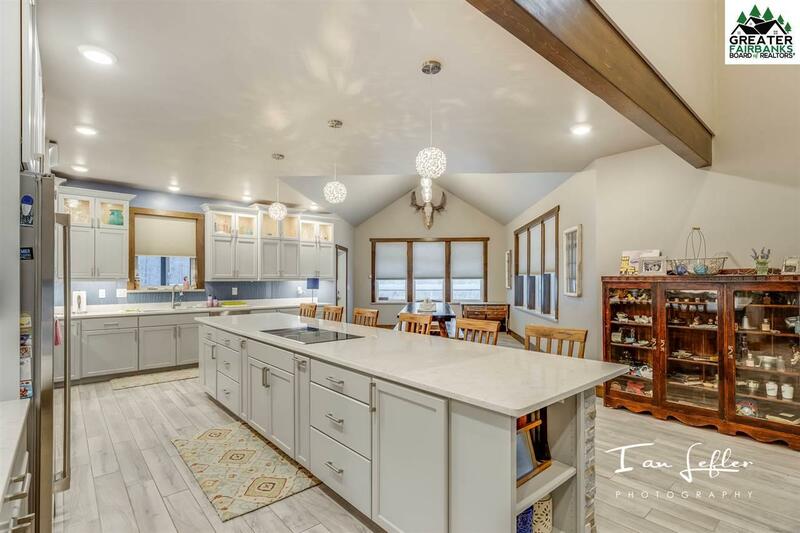 Elextrolux refrigerator, quartz counters, oversized pantry, and large dining area that leads to the expansive deck that also hosts the hot tub, then down to the outdoor fire pit area, and wonderful lawn. All of this showcased with patio pavers and custom Keystone block retaining walls that look simply amazing! Also on the main level you will find the perfectly appointed master bedroom, master bathroom with soaker tub, steam shower, separate sinks , and huge walk in closet. You will also find another guest bedroom and bathroom on this level. Upstairs you will find all of the kids bedrooms (all with lofts!) and additional bathrooms. All of these bedrooms are huge with plenty of space for any age. There is also a cat walk that looks over the living room and entry way. In the basement you will see a mechanical room, another storage room, and then it leads to the humongous living room, pool table, sports court, and work out area. Daylight basement also has an exit to the lawn and patio area below. Topping off the his house is the 3 car garage, concrete driveway from top to bottom, shed with carport storage for motor home or boat, and perfectly set in the hills of Fairbanks. Quick commute to all of Fairbanks for school, shopping, restaurants, and work. 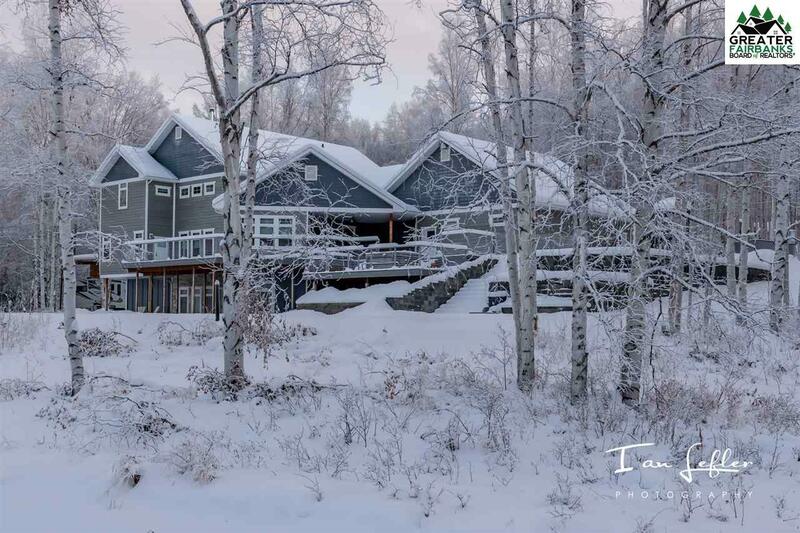 Not your typical Alaskan home, and it will not take you long to see that of course. This one is perfection. I suspect you will not find anything like this in Fairbanks! Some of the awesome features and highlights are also below: *Steam shower *Large unfinished mud room *Huge basement storage area *Lofts in four kids bedrooms *House wired for speakers *Laundry shoot *Hot tub *Plumbed basement for bar/kitchen *Geothermal heating/cooling *Custom landscaped rock fire pit area *Custom indoor rock wood fireplace *6 star energy rating *Huge walk-in pantry *3-car over sized garage *RV-port and large storage shed 8x32 plus wood shed *main floor & upstairs laundry rooms *Sport court & workout room *Full concrete driveway *Lot to the side of home is 1.4 acres and valued between $50,000 and $60,000 will convey with the home with an acceptable offer.